· Axial coverage from L3-4 through L5-S1 by default. Additional coverage more superiorly at tech’s discretion to evaluate degeneration as well. 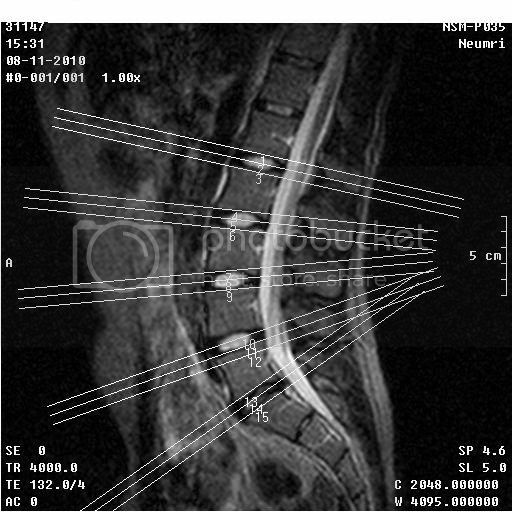 · New optional sequences to be done only when clinician orders lumbar spine AND sacroiliac joints. Non-contrast sagittal T1 spin echo and T2 fast spin echo, sagittal STIR, axial T1 and T2 fast spin echo through the lumbar spine. 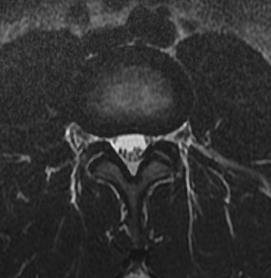 Optional oblique coronal STIR and T1 spin echo may be acquired through the sacroiliac joints. 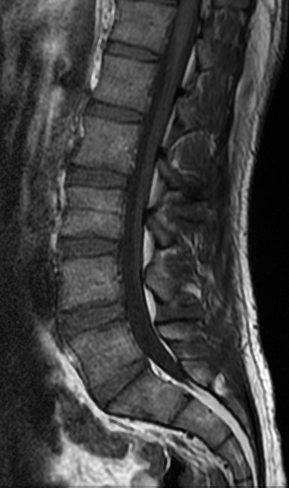 Particularly useful for disc spaces ve vertebral body heights and overall size of the lumbar spinal canal. 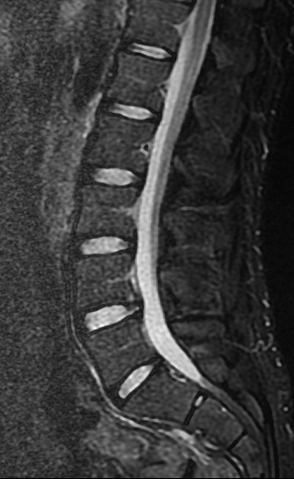 Disc bulge or herniation like abnormalities, as well as he conus and filum terminale are also well visualized. 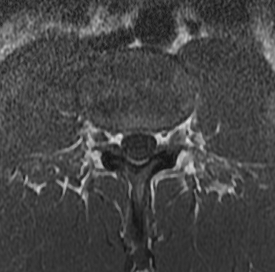 Particularly useful to determine if there is edema in the vertebral bodies and/or disc spaces. 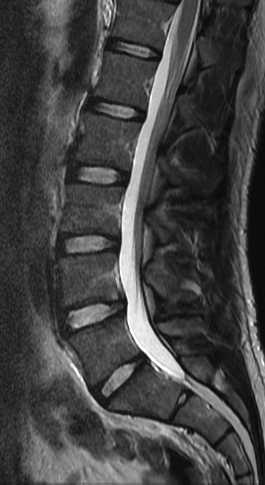 It is a great sequence to screen the spine for subtle abnormalities. Useful to evaluate the bone marrow signal and neural foramina. Today, there have been 4 visitors (30 hits) on this page!